This is the final installment of a current series of blog posts in which I have been highlighting some of the more commonly asked questions of divorcing clients as to whether they can or cannot do certain things in regards to aspects of their financial or personal affairs. Once again, the thoughts expressed in this blog post should not be construed as being in the nature of legal advice, but merely serve as an overview of things to consider if you are a client asking these questions or a lawyer confronted with how to respond with them. Now lets get to my final two commonly asked questions in this current series. Can I withdraw money from and/or close bank or investment accounts? Whether a spouse is contemplating the possibility of divorce or has already made the determination that the marriage is over, concerns over the financial impact and ramifications of same come the forefront. Exacerbated by the level of mistrust that inevitably develops, questions and concerns about the marital finances going forward arise as a result. What are my rights in the various types of marital property or assets? How have the marital finances been handled in the past and will that continue? Will the family’s bills and expenses continue to be paid? Will I be cut off? Can I prevent my spouse engaging in out of control spending? Who should control the marital funds? Will my spouse take or secrete all our money? How will my legal fees be paid? What can I do to protect myself financially? Some may look at these types of questions and concerns as a form of “divorce planning.” For many, “divorce planning” has a negative connotation. For some spouses, they view divorce as a game to be played and won, and will to do anything to get a leg up on the other spouse. For most, it is simply a matter of wanting to understand how to best deal with the financial uncertainties caused by the break up of a marriage, of wanting to know and protect ones’ rights, and of not wanting to be taken advantage of. Hence, when a client asks to what extent they should or can withdrawal money from and/or closed certain bank or investment accounts, I look at it from that perspective and offer my best advice based upon the facts and circumstances existing in that individual case. First of all, unless there has already been a court order entered prohibiting spouses from withdrawing or dissipating assets, there is no specific rule or statute preventing a spouse from accessing funds in their name (whether individually or jointly) in advance of or during a divorce. Hence, the response is less whether they can or can’t do something but whether they should or should not do so. My response will obviously depend on the reason for the question and the nature of their concerns. Are they looking to safeguard funds for themselves? Have they observed any unusual financial activities in the recent past? Are they concerned that the other spouse may secrete or spend all of the monies without their knowledge? Do they just want to safeguard their “fair share” right now? My advice will also depend upon the nature of the asset itself and how it is held, including whether it is held in individual names or joint names. Whether prior to or during the pendency of a divorce proceeding, the underlying policy of the law is to endeavor to maintain the marital status quo to the extent feasible until a final determination, whether by way of settlement agreement or court judgement, is made. Mallamo v. Mallamo, 280 N.J. Super. 8 (App.Div.1995); Monica v. Monica, 25 N.J. Super. 274 (App.Div.1953.) Besides attempting to maintain a status quo in regards to the payment of bills, expenses and support for the family, the court looks to preserve and protect the assets of the marriage and to prevent their waste or dissipation. Kothari v. Kothari, 255 N.J. Super. 500 (App.Div.1992.) The court also frowns upon the use or dissipation of marital assets to discharge the payment of support or expenses during the pendente lite stage of a case. Weiss v. Weiss, 226 N.J. Super. 281 (App.Div.1988) Given this underling policy of maintaining the marital status quo, the easy answer would suggest that one should not withdraw funds from and/or close out accounts. However, like most things in family law there are no easy or one-size-fits-all answers as every case or circumstance is different. If we are talking about an individual account of your client, in the absence of an existing restraint, they would arguably have the power or authority to access or dispose of funds in that account as they might choose. While that may be true, why would they need to? They already control it. If their concern is over what the other spouse might do, that other spouse should not be in a position to legally access those funds. Could the other spouse attempt to access those funds through fraudulent means? Anything is possible, but someone engaging in criminal or illegal conduct is another animal all together. One legitimate concern which should be addressed is that most people these days enjoy online access to their accounts. If a client is concerned that their spouse might access same by knowing their username or password, they should be changed to avoid that possibility in the future. If a spouse still feels the need to withdraw funds from and/or close an account held in their individual name, one should discuss the reasons for doing so, being mindful of the status quo and preservation policies noted above. If an individually held account is acquired during the course of the marriage, and unless otherwise exempt (i.e. inheritance, third party gift) it will be deemed a marital asset subject to equitable distribution with the other spouse. Therefore, that account, and any disposition thereof, will still need to be fully accounted for purposes of its equitable distribution between the parties. One other note of caution, however. Even if the account holder may have the right and ability to do so, the other spouse’s learning of this financial activity may be viewed as provocative and lead to either reciprocal financial actions on their part and/or that spouse filing court proceedings to reverse and/or restrain these actions, and which may dramatically impact the course of the case. Similar considerations would apply if the account or accounts in question were held in joint name as oppose to individual name. However, in this instance either party would have the ability (at least in theory) to access the funds in the account, absent the rare exception where the account is set up requiring both parties’ signatures to make withdrawals from or dispose of an account. In most marriages, the spouses maintain at least one or more accounts in joint names, including checking accounts, savings accounts or investment accounts. While most people believe that holding an account in joint names means they have a right to half the money, legally as a joint tenant each party has an undivided interest in the entire account. Hence, as may have been the case throughout the marriage, either spouse would have the ability to access some or all of the funds maintained in a joint account. If not then, why or why not now? That is usually the real question at that juncture. All this presupposes that the parties themselves have not already agreed to divide up their joint accounts. Certainly, I would want to investigate whether the parties had that discussion and if not, whether there would be any reasons not to do so. Is it a request born out of financial fears and of wanting to assure themselves some sort of nest egg or reserve in the event that things turn nasty? Is there a concern that if they did not take some share of the funds, that the other spouse will do so leaving them with little or no resources to maintain themselves or pay expenses? Are they simply looking to prevent the other spouse from “getting their hands” on the money? Are there electronic transactions attached to that account or other obligations earmarked from them which might be compromised by the withdrawal or closure of that account? Again, all of these sorts of issues should be addressed and explored before any determination is made or advice given regarding this issue. Having access to marital funds or preserving one’s fair share are legitimate reasons, but the advise of whether to do so or not cannot be made in a vacuum. Can I cancel credit cards? Often in the same conversation they also inquire about how they should handle credit cards that either or both parties maintain, given the impending divorce. As some spouses express concern over the possibility of the other spouse secreting or taking control of marital funds, that same spouse may have concerns over the other spouse being able to run up credit card debt, whether to get back at that spouse and/or run up the alleged “lifestyle”, and then hold him or her responsible. As with the handling of bank or investment accounts, addressing the client’s concerns over credit cards depends upon a multitude of considerations. Are the credit cards jointly or individually held? What was the marital status quo with regard to parties’ use and access to credit cards? Were there problems with their use in the past? Why the reason for the concern now? Given the pervasive use, if not need, for credit cards today, would a spouse still have the use or access of alternative cards if certain ones were cancelled? If not, how would those bills and expenses previously paid by way of credit card be addressed going forward? Are the parties already in substantial debt, whether via credit card or otherwise, to be on the verge of bankruptcy? If it is his or her own individual credit card that the client wants to cancel, they are certainly free to do so, although that is normally not the reason for the inquiry. If it is a credit card held individually by the other spouse, the client would generally would have no right or authority to close the other’s credit card account. What we are usually talking about are credit cards in which both spouses may have joint use or access, or on which the spouse may be an authorized user or issued a secondary card of the primary account holder. In those instances, depending upon specific rules which may govern an individual credit card account, a primary account holder would normally be able to cancel or close such accounts. Again, one must explore the reasons for doing so, whether the benefits outweigh the risks, and the potential consequences, both short and long term. Doing so may well be an entirely prudent decision. However, if done unilaterally, it may run foul of the policy favoring the maintaining of the status quo until the divorce is finalized, may be considered a provocative act, and may lead to court papers being filed to address same. One must be prepared to defend the reasonableness and necessity of this action. 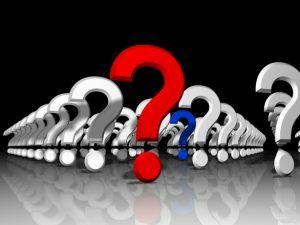 If there is one conclusion that should be drawn from my recent series of blog posts is that while the questions often posited by divorcing clients might seem simple, the answers and advice in response to same are anything but and are truly dependent upon the facts and circumstances of any given case. Let the attorneys at James P. Yudes P.C. assist you in navigating through this process.